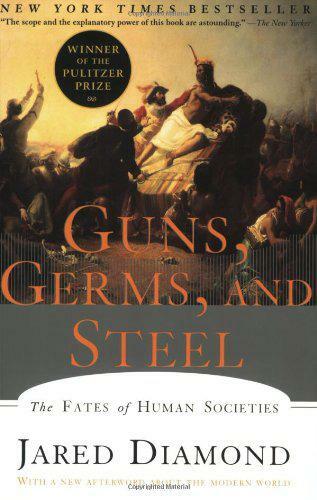 In Guns, Germs & Steel, Jared Diamond explains the reasons why things worked out that way. It's an elemental question. Diamond is certainly not the 1st to ask it. However, he performs a singular service by relying on scientific fact rather than specious theories of European genetic superiority. Diamond, a UCLA physiologist, suggests that the geography of Eurasia was best suited to farming, the domestication of animals & the free flow of information.